Traditionally, there were several methods to measure viable cells viz Trypan blue staining, tritium-labeled thymidine (radioactive substances was used and it was time consuming). 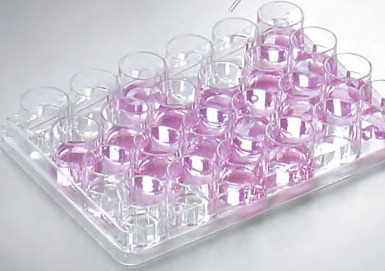 Thus, MTT assay is most commonly used for measuring viability testing. diphenyltetrazolium bromide, a tetrazole) is reduced to purple formazan in the mitochondria of living cells. This reduction takes place only when mitochondrial reductase enzymes are active, and therefore conversion can be directly related to the number of viable (living) cells.